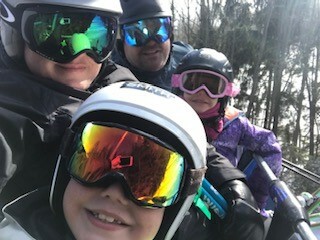 We are a dedicated BVSC family going onto our 8th season enjoying all that winter has to offer in the Beaver Valley area. With our most recent rental going up for sale, we are in search of new place to take care of for the winter season. Our family: there are 4 of us all actively involved in club programs and social scene. Alison & Blair plus Charlie 8 and Avery 5. Our needs and budget can be flexible but, hoping for 3 or more bedrooms within 10-15 minute drive to the hill. Our Renting Experience: "Take only pictures, Leave only footprints" is our rental philosophy. We are well-versed in the operation, maintenance, care and enjoyment of rural properties including various water/plumbing, electrical and wood burning systems. *We employ bi-weekly cleaning service every year* to further our enjoyment on the limited weekends and assure the care of your cherished property. Referrals: Upon request, we can provide referrals of property owners we have rented from previously in addition to character references if required and of course, would love to meet in person.